This summer, the Blanton presents Ancestral Modern: Australian Aboriginal Art from the Kaplan & Levi Collection, an exhibition that offers an important portal into the worlds of contemporary indigenous Australian artists and their use of rich visual languages and symbolism to convey meaning. Some artworks in Ancestral Modern appear to be entirely abstract, with sweeping lines, vivid colors, intricate patterning, or a profusion of dots, but they offer much more than surface decoration. In fact, these paintings and sculpture often contain symbols that form narratives tied to an artist’s cultural group and their country, history, laws, and beliefs. Stories of creation, ancestors, rituals, familial love, evil selfishness, brave heroism, and human brutality can all be found in the works on view. 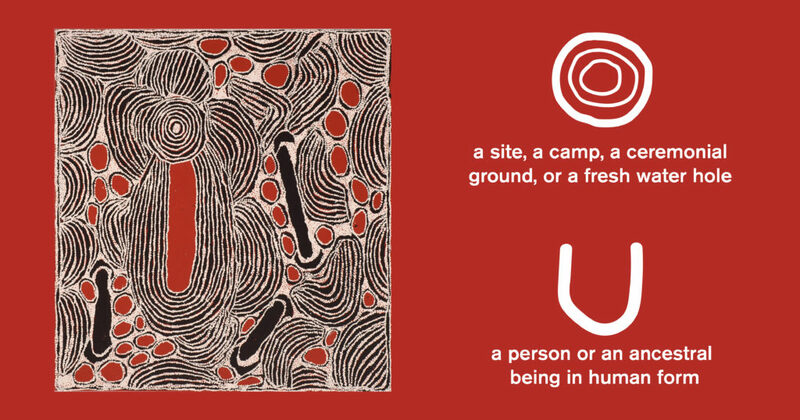 Symbols used and styles of art-making vary between different Australian Aboriginal groups, and an artist may not explain every aspect of an artwork’s story to outsiders in order to protect some areas of traditional knowledge. 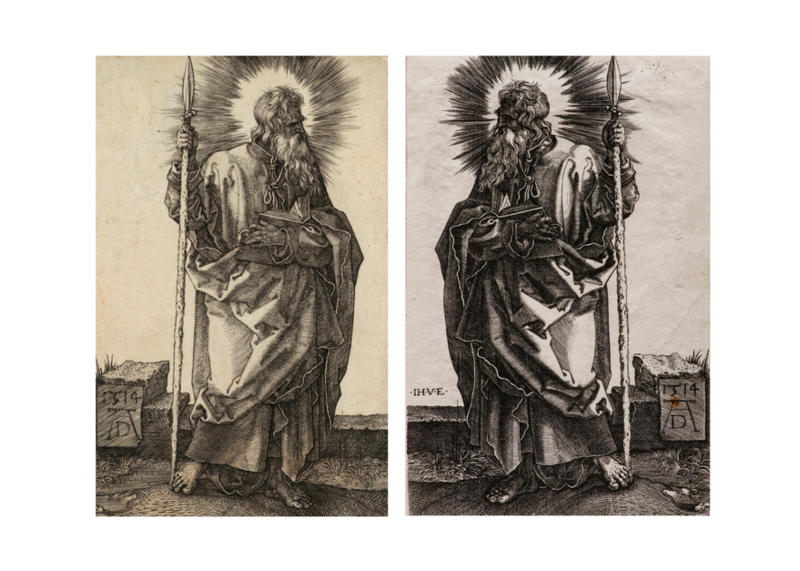 But by looking closely at the symbols employed in a given work and seeking to understand the story an artist is telling, viewers here in Austin are participating in a communicative exchange with cultures thousands of miles away. 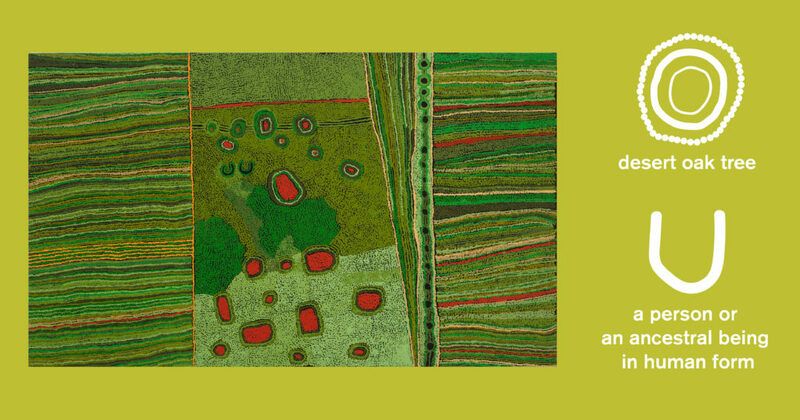 And while many Aboriginal Australian works of art highlight the creation of their lands by ancestors, the stories and lessons they tell remain vitally present. As Pamela McClusky, Curator of African and Oceanic Art at the Seattle Art Museum and curator of Ancestral Modern, mentions in her lecture “Wild Yam Dreaming: Aboriginals Painting Country”, Aboriginal artists also aim to inform viewers about environmental ethics, indigenous rights, land and wildlife management, and many other aspects of contemporary life in Australia. 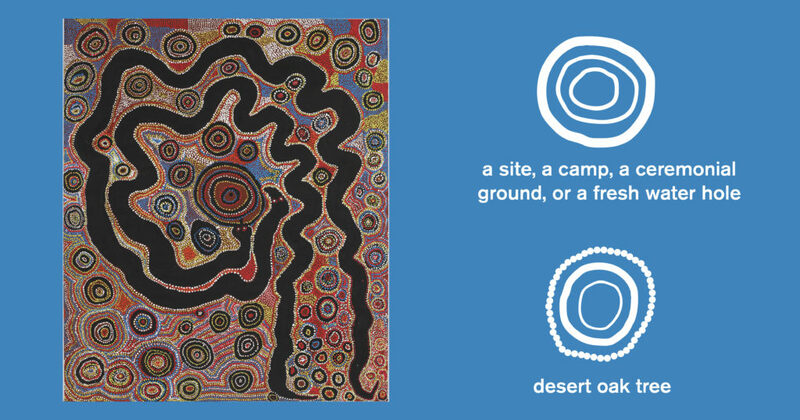 Symbols are a crucial part of the artistic languages Aboriginal artists have used to emphasize the relationship between people and landscape from 40,000 BCE to the present day. Here are a few of the symbols and stories from across the continent to be discovered in Ancestral Modern. 48 1/16 x 48 1/16 in. Ningura Napurrula’s Wirrulnga is named for an important site where ancestral women came to give birth. 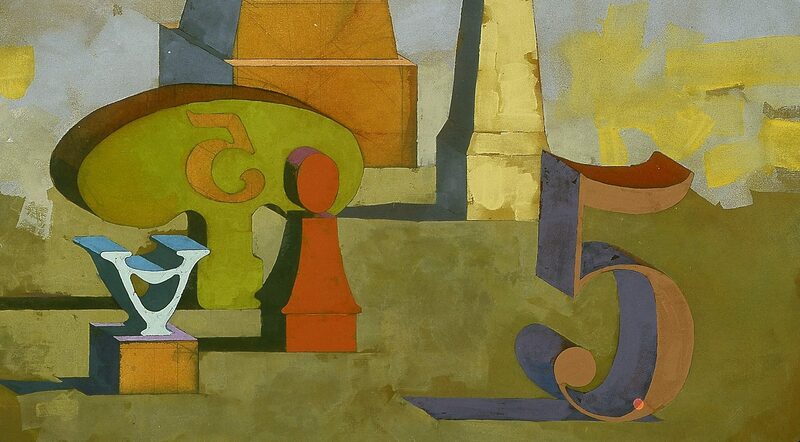 The pregnant bellies of the many women are symbolized by the multiple arcs across the canvas. In order to give birth, they needed three things: a site, attire, and nourishment. The central site, a rockhole, is indicated by the large, multi-ringed circle. The comb-like forms represent the human hair skirts spun for ceremonies. Finally, desert raisins, shown as red circles, are dispersed throughout. This symbolic vocabulary comes from sand drawing, a traditional art form practiced in desert communities. 59 1/16 x 47 1/4 in. Mina Mina Jukurrpa (Mina Mina Dreaming) is a painting abundant in symbols that tell a story of female companionship. Seven Yuendumu women traveled to their ‘Mina Mina’ (home) to create this collaborative painting and reenact the story of ancestral women who had visited the same place. The women are denoted by ‘U’ shapes. They collected food in bowls symbolized by the combination of a vertical line, a ‘U’ shape, and a circle, and wrapped the bowls in snake vines (wavy lines). They used digging sticks, shown as long, straight lines, to forage for food such as edible fungus, represented by small stand-alone circles. Concentric circles represent the desert oak trees they rested beneath. 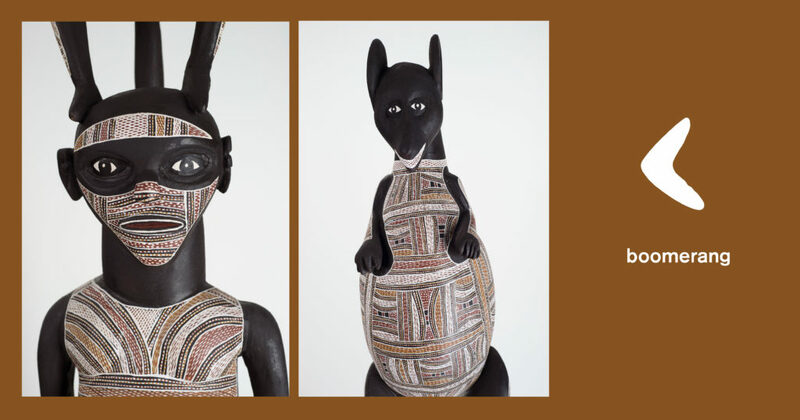 Wuyal, the key ancestor for the Marrakulu clan, is accompanied here by Dhulaku, a rock wallaby (or euro). Both of their bodies are painted in ritual Marrakulu clan designs, with curves suggesting the boomerangs Wuyal threw to create and name all of the sacred places in Marrakulu country. Dhulaku jumps from rock to rock but is happy to return to rest on Wuyal’s head. 82 11/16 x 74 13/16 in. The Spinifex Men’s Collaborative imbued this painting, Wati Kutjara (Two Men Story), with symbols that narrate the tale of two snakes— a father, and son. The son is found feasting on honey and humans at a freshwater hole, symbolized by the central concentric circles. The father wraps himself around his misbehaving son to take him away. 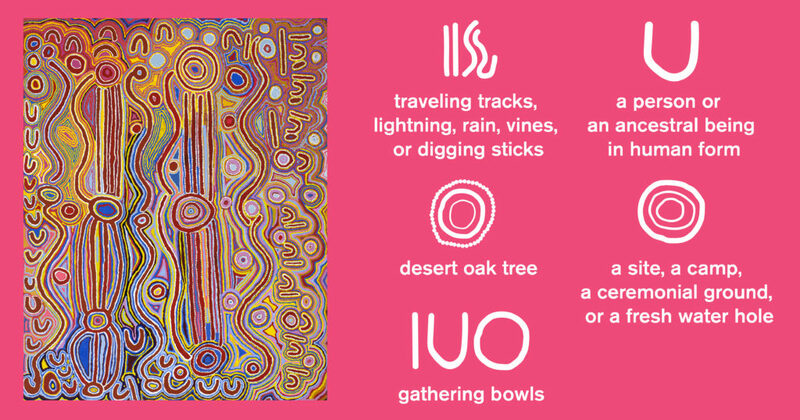 The motif of swirling parallel lines not only represents the snakes in the narrative but could also suggest the tire tracks of trucks that took the Spinifex people away so that their lands could be used for atomic bomb and rocket testing. Synthetic polymer paint on canvas47 ¼ x 77 15/16 in. Minyma Kutjarra (Two Sisters Creation Story) is about the journey of two ancestral sisters. The two sisters, symbolized by small black ‘U’ shapes, reassure each other and celebrate along the way back to their homeland. The red circles indicate sites, camps, ceremonial grounds, and freshwater holes that they pass along the way. 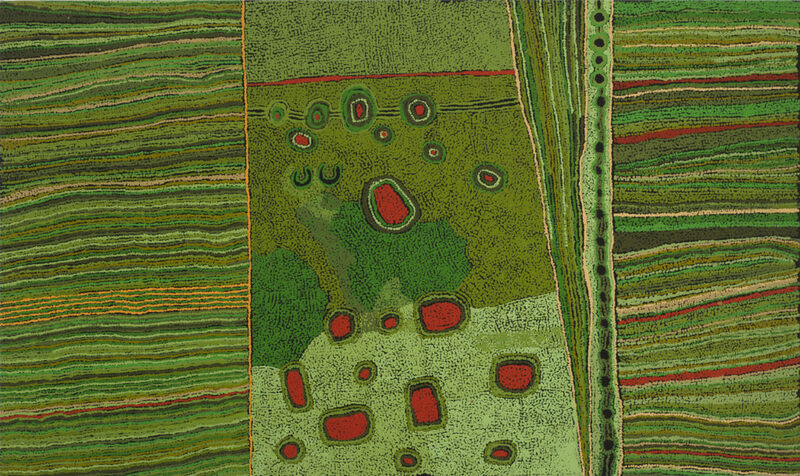 A line of small concentric circles down the right side of the canvas suggests a row of desert oak trees in the lush, blooming landscape.